Peter Sjostrand's popular Mega Man 2.5D fan-game returns with an all new beta build. Version 4.0 introduces two additional single player and co-op stages for Pharoh Man and Star Man. If you ask me, this is the best it's ever looked. See it in action in the video above then download it at the game's official website here. 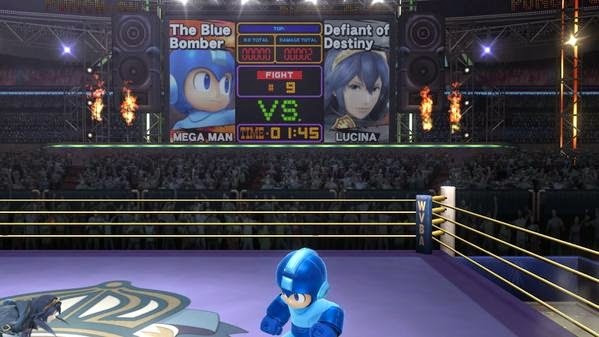 The North American version of Super Smash Bros. for Wii U erroneously refers to Mega Man as the "Blue Metal Hero" in the Punch-Out boxing ring stage. 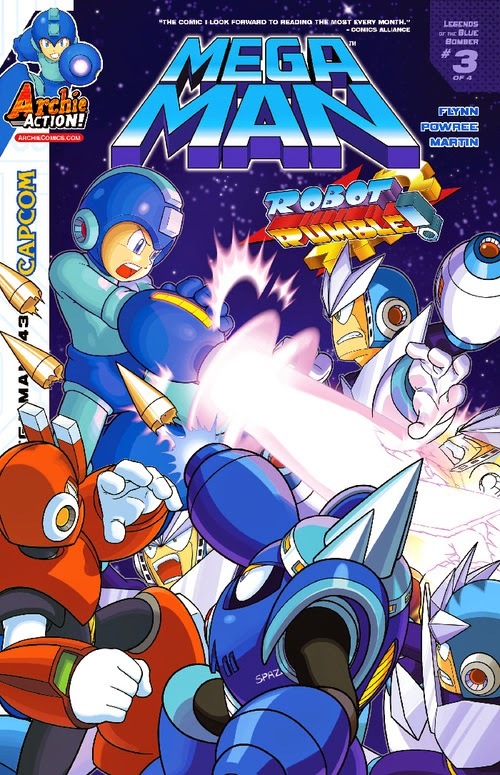 The title was thought to be an obscure reference to Metal Heroes, the subtitle for Mega Man 8's Japanese release. And now, with the launch of Smash in Europe, the jumbotron displays something a bit more recognizable: The Blue Bomber. I'd wager we'll see the title amended in North America sometime soon -- this seems like something that could easily be patched. UPDATE: Or not. Apparently, this is but one of many intentional translation differences between the North American and European versions. Smash was seemingly localized by two independent teams, as demonstrated by trophy descriptions. "Blue Metal Hero" is probably here to stay. Thanks to Liam Ashcroft for the tip, kuroneko0509 for the image. 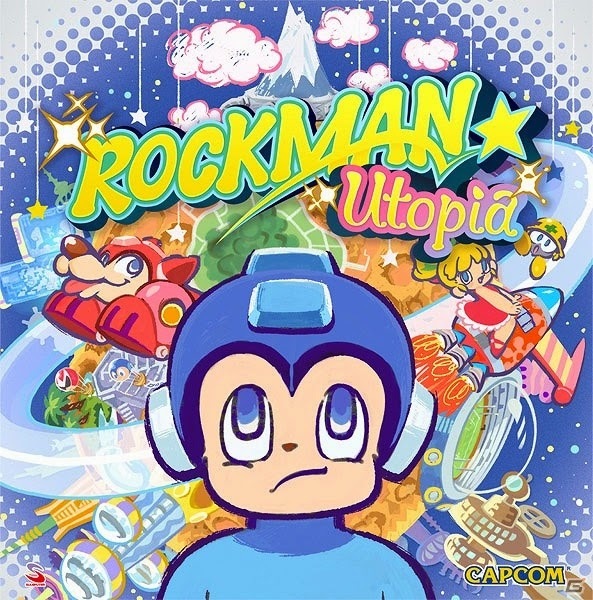 Adding to our previous report, Gamer has gotten their hands on the complete track list for Rockman Utopia, the first of two new Rockman albums due in early 2015. No samples yet, but we now have a much better idea of what to expect... and it's more diverse than previously thought! Capcom is once again teaming up with the purveyor of Mega Man paraphernalia in the West, Great Eastern Entertainment, and the result is a Mega Man X Plush. Though price and release date remain to be determined, sources suggest a late winter/early spring release window. 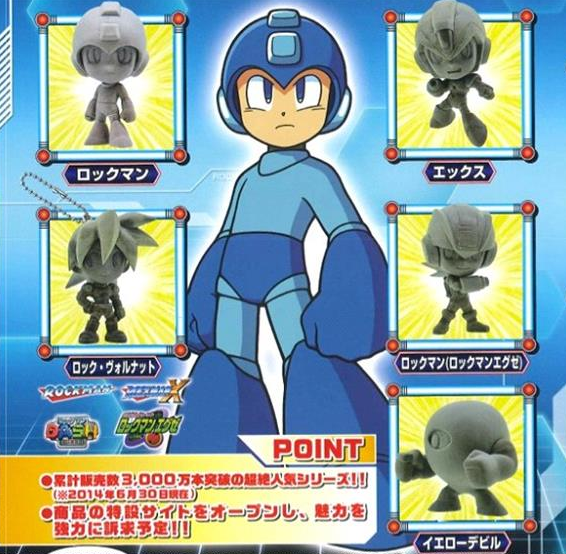 Size-wise, we're looking at 7-inches (roughly in line with GE's previous Mega Man plush outings). 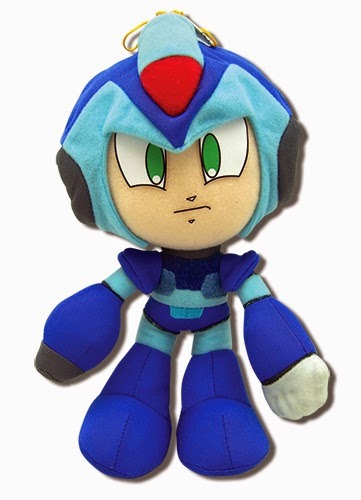 Fun fact: this is first officially licensed X plush. 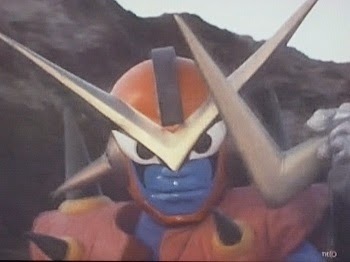 22 years and no soft version of the great Maverick Hunter has ever been produced. Good on GE for achieving this milestone! DING DING DING! 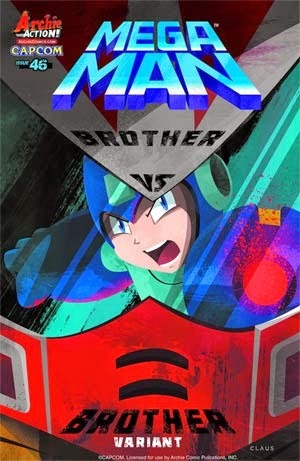 Get ready for the fight of the century with: Mega Man versus Break Man! 'The Ultimate Betrayal' Part Two: This is it, the day has finally arrived-it's the epic-beyond-epic duel you've been waiting for as brother battles brother and the Blue Bomber brings the ruckus to the Prodigal Son! Everything has been building to this battle of two siblings-and the fate of the world is at stake! 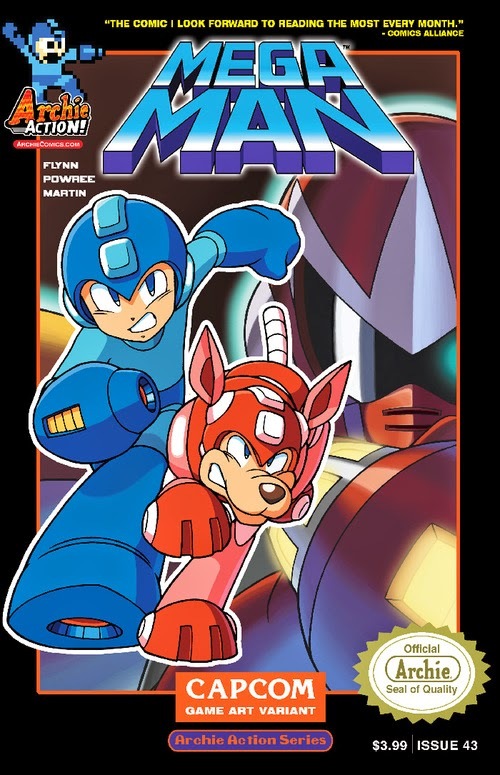 The Mega Man 3 game adaptation reaches a fever pitch in this exciting installment, featuring cover art from Patrick 'SPAZ' Spaziante and a special 'brother versus brother' variant by acclaimed artist Justin Harder! Inti Creates has dated the first round of Mighty Gunvolt DLC, Gamer reports. The Mighty No. 9 x Gunvolt x Gal Gun crossover is expected to receive four new stages on November 26th. It is currently only scheduled for Japan, priced at 300 yen. UPDATE: North America gets it on Nov. 28th, $3.99. New bosses will coincide with the additional stages, including Pyrogen (Mighty No. 1) and Brandish (Mighty No. 7). Elise from Gunvolt and Mr. Happiness from Gal Gun will make an appearance, too. What's more, the DLC will provide an easier to navigate stage select screen. I don't recall the current format being too troublesome... but there ya go. More images available at Gamer. Loot Crate's Mega Man Exclusive Is... a Mini Helmet! Looks like the November "battle" Loot Crate is arriving on doorsteps a couple days in advance. Inside the box, you'll find a nifty miniature Mega Man helmet replica -- it's a smaller version of the one Capcom offered at San Diego Comic-Con this past summer. According to early unboxing videos, the color of the helmet varies. You'll receive one of four colors (classic blue, red, grey or green) and additional standee. 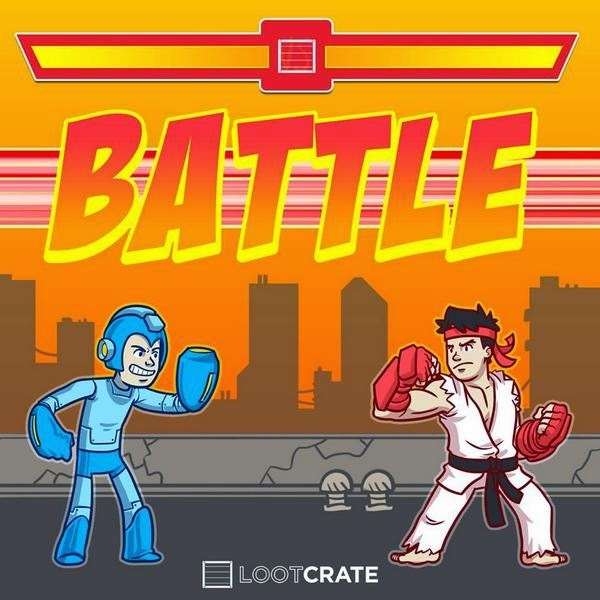 The crate also includes a Mega Man vs. Ryu pin and a bunch of cardboard Mega Man/Ryu standees to create your own one-on-one brawl. See it in action after the jump! 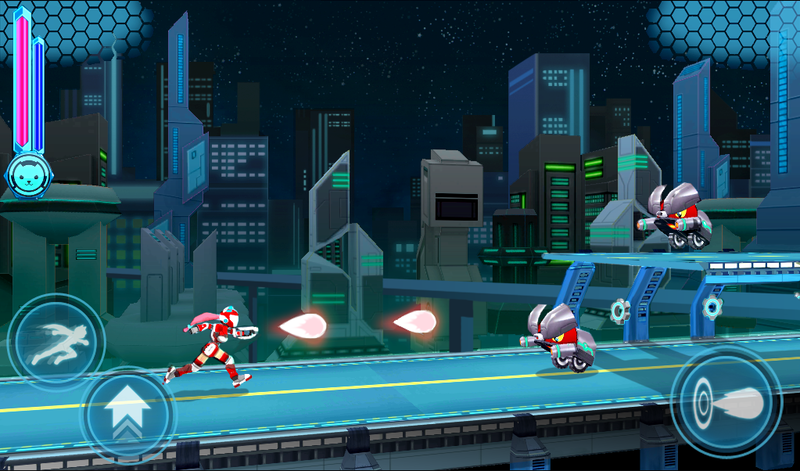 Composing legend to the classic series Mega Man games, Manami Matsumae is back with an all new project. Having recently wrapped production on Shovel Knight, Matsumae is lending her talents to Target Acquired. Read on for more details... and a chance to win a signed copy of Matsumae's score! 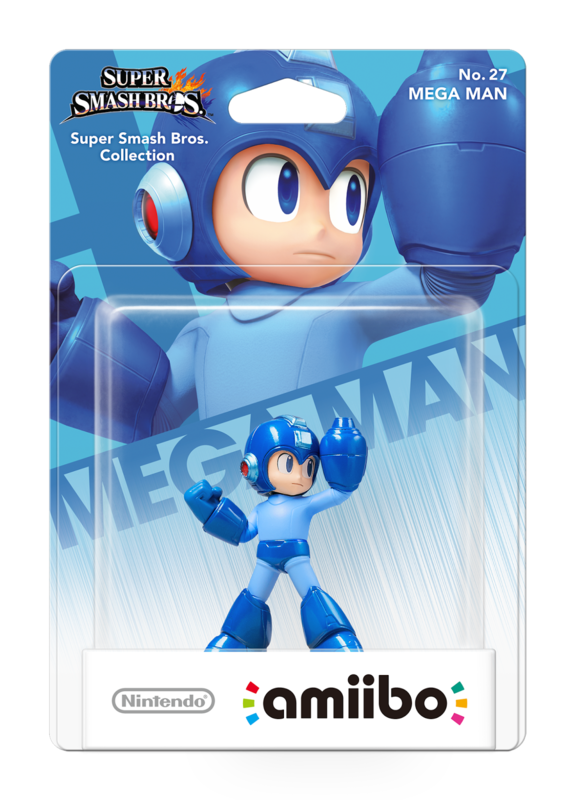 Not even a week since the news broke, Nintendo's Mega Man Amiibo figure is already up for pre-order. You can reserve yours from Amazon for $12.99 US. Ignore the late release date; Nintendo has confirmed wave 3 for February, 2015 (North America, Europe and Asia). I'd also like to take this time to announce I am planning a Mega Man Amiibo giveaway. The details are still being ironed out, but you can expect a contest of sorts. There will be 2-3 free Amiibos to win. I'll keep you posted! Animation model sheets and cels are sot of a middle ground product, common on a number of auctions sites. However, it isn't everyday we see something like this: original Tatsunoko vs. Capcom: genga cels. 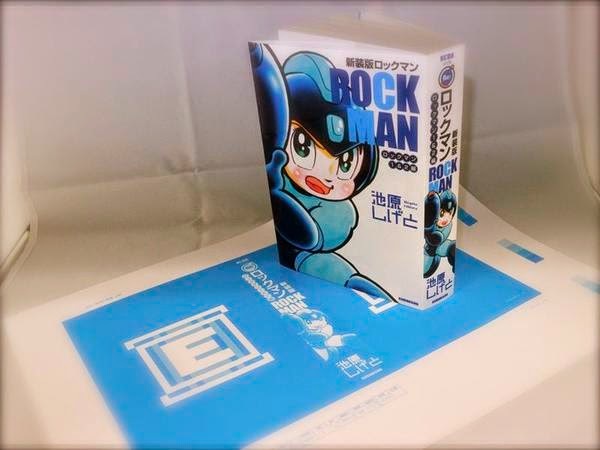 These are genuine materials from Mega Man Volnutt's TvC ending custcene, seen here. The auction can be found here and for the sheets themselves, you can check out some of them from after the jump. Don't let the price spook you too bad -- the seller is willing to work out a deal. The auction can be found here and for the sheets themselves, you can check out some of them from after the jump. Thanks for the tip, Brandon. I think many of us were waiting for this nugget of news. 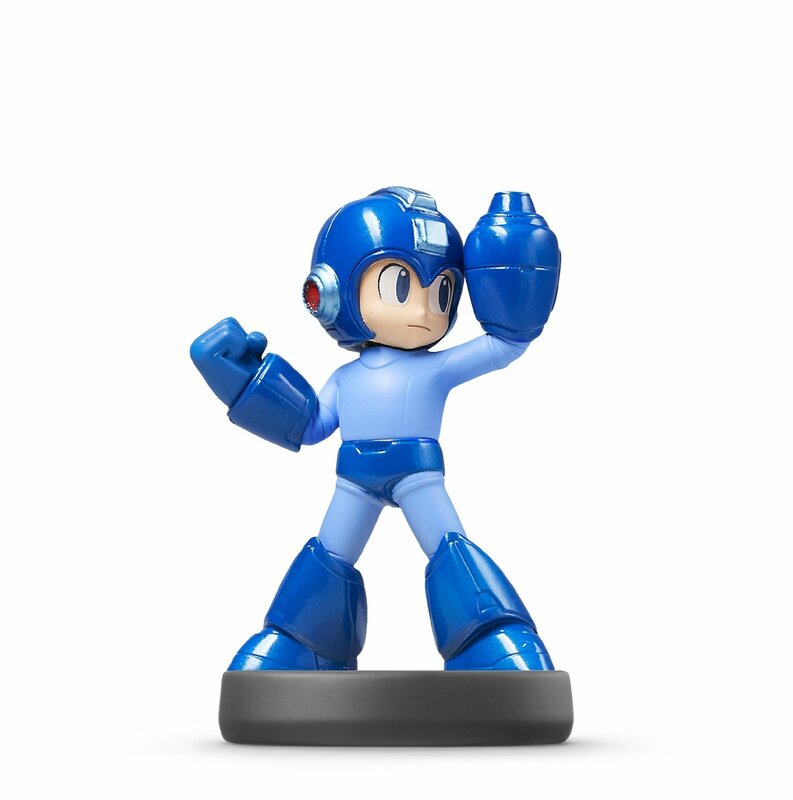 As seen on Nintendo Japan's new Amiibo website, a Mega Man Amiibo figure is on the way. The Blue Bomber is planning to launch alongside the third Amiibo wave in February, 2015. It's priced at 1,200 Yen (roughly $10.45). No word on whether this will come to the U.S or Europe within the same time frame. I'd say it's likely but it's safe to wait for official confirmation. Sooner than later, one can hope. UPDATE: February it is. The teaser for the November Loot Crate is upon us and it's straight up ridiculous. It's a dark and goofy blend of Mega Man and Die Hard. Things take an interesting turn when another Capcom star shows up to procure Mega Man, now a vigilante. The deliberate grit, needless to say, is all in good fun. As previously discussed, some form of Mega Man loot will be included in the "Battle" themed package. We won't know what it is until this month's Loot Crate arrives on doorsteps in a few weeks. If you're interested in signing up for the box, head over here. Punch in the code "BATTLE" to shave $3 off your subscription. Regardless of what the item is or isn't, we'll keep you posted. Stay tuned! Today's Mighty No. 9 update brings Art Director Shinsuke Komaki's package design into the spotlight. A fine looking piece, no doubt, but there's something curious going on in the middle. Beck is looking a tad different. 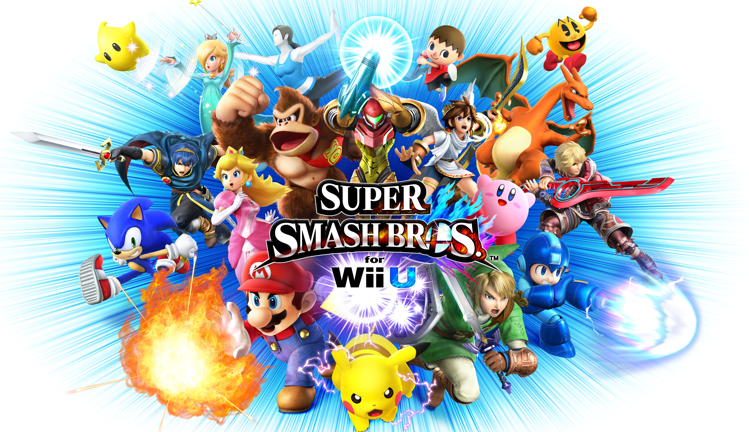 As with previous entires in the series, Super Smash Bros. for Wii U features a bevy of original and re-arranged tracks from various franchises. Now that early copies are being sent out for review, we can confirm 323 tracks will be available to players from the get-go, with at least a hundred more to be unlocked. Of those readily available, there's four Mega Man pieces not heard on the 3DS. 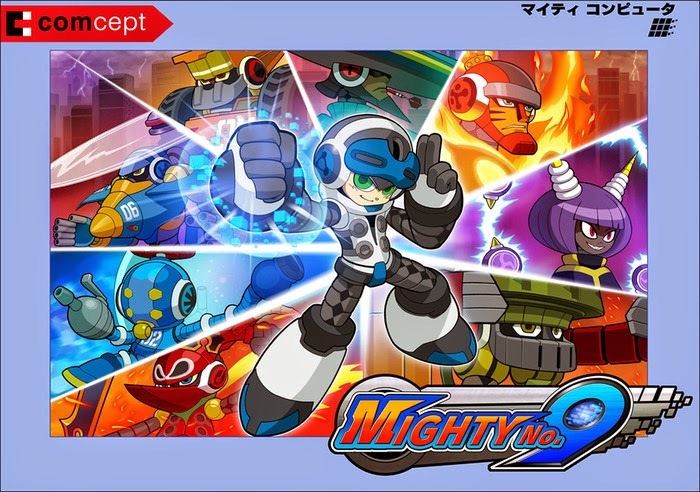 These include , "Cut Man Stage Remix", "Quick Man Remix", "Shadow Man Remix" and "Mega Man (1) Retro Medley." If you don't mind spoilers, check out the playlist above. Yeah, we're still in classic series territory. But who knows; more Mega Man tunes may await us yet. Thanks to Jasper for the playlist! If you're a fan of Kid Icarus Uprising and don't mind Super Smash Bros. Wii U spoilers, we have a sneak peak of "Palutena's Guidance" in action. GameXplain tries out Pit's amusing Smash Taunt with Captain Falcon, Ludwig and Mega Man. The footage kicks off with a delightful exchange about our favorite blue robot. See it after the jump! In an effort to broaden their reach in the West, Inti Creates, developers behind various Mega Man games, Azure Striker Gunvolt and more, have opened an English website and Facebook. Light on content at the moment, both pages intend to act as a central hub for all things Inti - past, present and future. English-friendly social media profiles is just the beginning, though. After the break, Matt Papa (Inti Create's International Affairs Coordinator) discusses how they will further establish a firm, lasting connection with fans across the West. It's something the company has been meaning to do for a long time. Just like the headline says, Rockman EXE 2 will be available on the Japanese Wii U Virtual Console next week, available on November 12th. It will go for the usual 702 Yen. No word yet on North America or the rest of the world. It's supposed to be headed our way before the end of the year, though. Stay tuned! The toys, the toys, the toys. They just keep coming! This time Bandai is bringing out a series of Rockman capsule figures slated to drop in February. Known figures include classic Rockman, X, Rock Volnutt, Rockman.EXE, and the Yellow Devil. These are just prototypes right now - colors will be added later. Big Bad Toystore has them up for pre-order; random singles for $3.99 or a box of 40 for $119.99. These are trading figures, mind you, which means when you buy one you don't know which character you're getting. So as always, buyer beware. 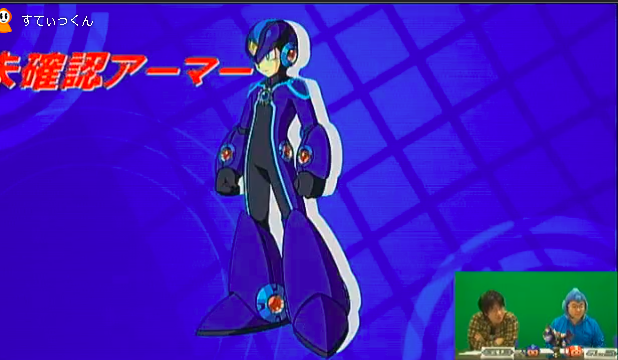 For better or worse, Rockman Xover is coming to an end. We can debate the quality of the game until our keyboards are tired and battered; cheer in its demise or sullenly sit as another game bites the dust. But I think both sides of the fray can settle on one thing: Xover's soundtrack was top-notch. I would argue Masahiro Aoki's arrangements were some of the best we've had in years. For your listening pleasure, here's the entire soundtrack courtesy of MidniteW. All twenty of Aoki's tracks are here - some ripped straight from the game, others collected from the Capcom Special Selection CD. If you haven't played Xover, let alone glanced at it, you owe it to yourself to check these it out. Loot Crate is a monthly subscription box for fans of all things video games, comics and popular culture. There's a plethora of goodies inside, a new selection each month. According the Loot Crate Twitter, the November box will include an exclusive Mega Man item. It could be anything. A figure, DVD, t-shirt -- anything. You won't be able to find it anywhere else. Exclusives aren't typically revealed until the box arrives on doorsteps (the 20th of each month). The only real clue we have to go by is this month's theme, "battle." 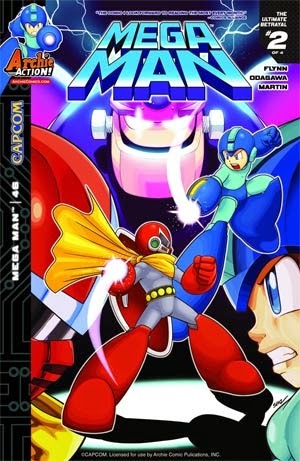 The image promoting the new crate is Mega Man preparing to face off against Ryu. To learn more about Loot Crate, hit up the official site here. Use the code "BATTLE" to shave $3 off your subscription! It's no secret Keiji Inafune and his diminutive team of artists looked to their youth when creating the earliest Mega Man characters. In development of the first Mega Man and Mega Man 2, character designs were heavily inspired by Japanese animation and Tokusatsu entertainment of the 60's and 70's, some more than others. Case in point: Quick Man.